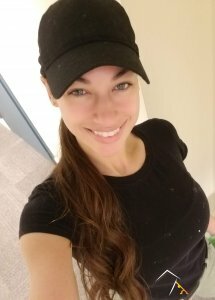 Hi, my name is Jess , and I buy houses in CT. Flipping houses in my passion. First and foremost, I am a mom of two the most amazing, sweetest, silliest, lovable girls (more like my two little ) in the world. They’re definitely the #1 reason why I get up every morning and chase my dreams. 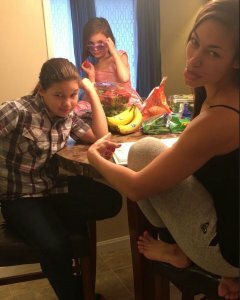 They’re my best friends and I hope to one day share my passion with them by teaching them the ropes of this business. We are a team that puts Charlie’s Angles to shame. We cook together we fix things together, we watch movies together (although I have yet to stay awake through one full movie…). I flip houses, eat colors, lift weights and I LOVE it!!! The before and afters of what we can do to your home gives me butterflies and goosebumps every time! On a typical Sunday you will find me getting read for the next week ahead. 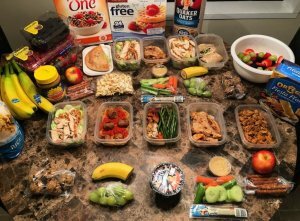 Meal prepping gets me revved up for an other week of self improving. I am a beast, an animal, relentless, I am strong. I exercise the mind and my body. Jerryll said it best:”Your body is your business card, it is the first thing people see and it is a reflection of oneself“. A healthy body means motivation, hard work, and discipline. It is a fundamental rule of being part of this company and I couldn’t agree more. It is said that you are the average of the 5 people you associate with most. What better place and what better people to surround myself with than those that value helping others, improving one’s mind and body! I have been in the trades going on 9 years now. Electrical, plumbing, drywall, painting, tiling, flooring, landscaping, design.. you name, and love getting my hands dirty doing it!! I love learning and figuring out how to fix new things. Investing and flipping has been a dream of mine for as long as I can remember.. So it’s still pretty unreal to me that I get to do it every day. Not only do I get to wake up every morning and continue to build my dreams, but I also get to help others by taking the burden of their property off their shoulders. Gym is a crucial part of my life. I feel happy working out, I feel motivated, I feel strong, like nothing can stop me. Physical exercise s a huge part of my mental development. It’s about attitude, self love, respecting hard work, discipline and reaching goals. Goals I reach. Goals I collect, Goals I conquer! When I’m not making masterpieces of your houses or behind the scenes doing paperwork.. You can find me gyming it. 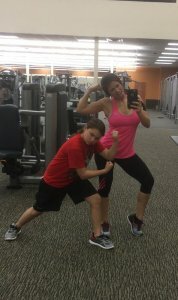 Six days a week my daughter and I have committed ourselves to keeping our bodies physically in shape. Making healthier food choices and preparing our meals for the week every Sunday is also a hobby of ours we have been doing for years now. For down time.. book in my hands or headphones in and listening to my next audiobook!